By working on the pattern on the pigment wings Drosophila Benjamin Prud’homme decrypts the importance of functional changes in the regulatory sequences of the gene expression for the morphology’s evolution . His work on a suitable animal for genetic manipulation allows him to draw general lessons on evolution and the specification of morphological traits in animals. 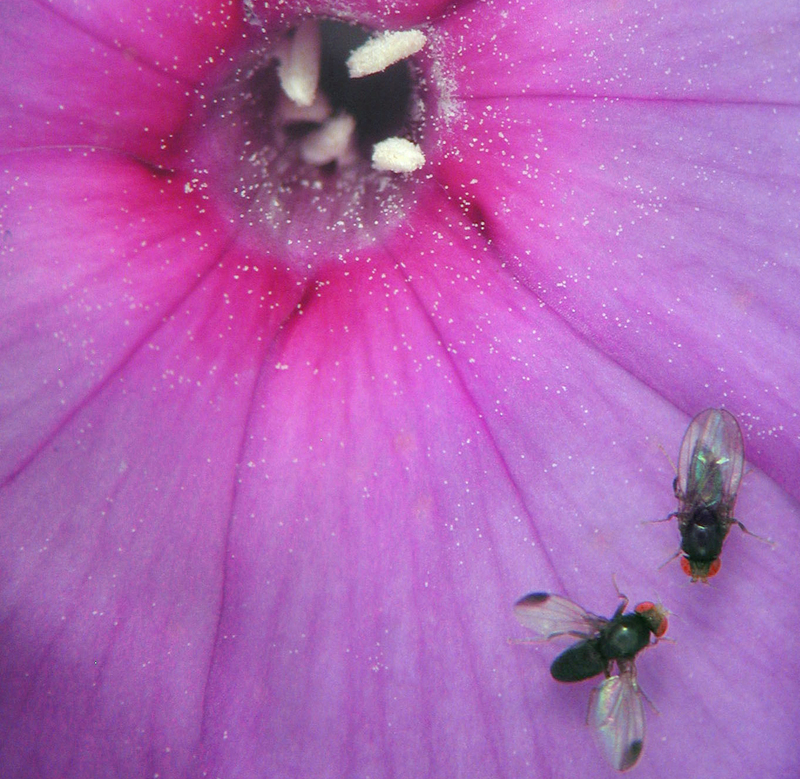 Courtship display in a wing-spotted Drosophila species. Animal’s morphological and behavioral traits are specified by genes during embryological development. Those traits change through species evolution via genetic modifications which are affecting developmental processes. 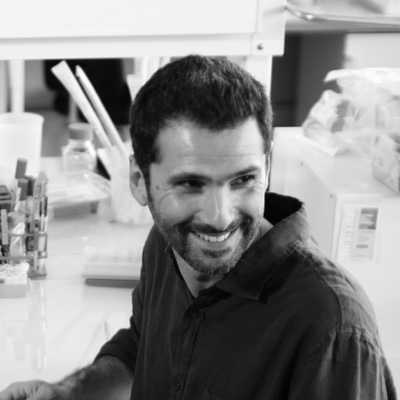 Benjamin Prud’homme’s aim is to identify those genetic changes and to understand how they translate into morphological of behavioral modifications. The diversity observed in the animal world is manifest through all kinds of traits : morphological, behavioral or physiological. It is the product of a long evolutionary story which shaped living organisms. Benjamin Prud’homme and his team aim at deciphering the underlying mecanisms of animal evolution, and are more precisely focusing their research on the evolution of morphological and behavioral traits. In order to achieve those goals, they are using model systems, meaning models which represent more than themselves and allow to experimentally investigate fundamental and general questions. Benjamin Prud’homme and his team are more specifically studying the formation and evolution of traits linked to reproduction. Those traits, whether they are morphological or behavioral, are often essential players in the evolutive success of species. Moreover, those secondary sexual traits are rapidly evolving between species, and can thus be studied in defined evolutive frameworks, between closely related species. They are working on Drosophila, the fruit flies which have been the geneticists’ pets for over a century. Notably, they are studying the formation and evolution of a pigmented wing spot, that males are displaying to females during their courtship. They are trying to understand how this wing spot appeared during evolution and to characterize its role in the male reproductive success. This visual communication system is reminiscent of other strategies found in the animal world, the most famous one being the peacock’s tail and its display in a magnificent trail during courtship. Studying a pigmented spot in Drosophila is allowing them to perform a deep genetic dissection that would be impossible to implement in organisms like peacocks, which are seldom studied and difficult to raise. They are aiming at identifying the complete set of genes responsible for the formation of the pigmented spot on the Drosophila wing and at understanding how interactions between those genes were established to produce a morphological novelty. This project relies on comparative functional genomics (between species) and the functional characterization, using genomic engineering, of the identified interactions. Studying this specific spot is actually a way to gather insights on a much more fundamental mechanism: gene expression and the key role of ci-regulatory sequences. Their work indeed highlighted how important functional changes in cis-regulatory sequences were for morphological evolution. They are studying how these sequences are functioning and contribute to the specification of morphological characters. Benjamin Prud’homme and his team are also studying another reproductive behavior : the egg laying site. Females actually carefully choose where they will lay their eggs, in way that remain poorly understood. Most drosophila species lay their on rotting substrates (fruits, plants, or even cactuses for certain species). At least one species behaves differently : Drosophila suzukii, which lays its eggs on rotting fruits but also on fresh ones, in particular cultivated ones like cherries, strawberries and other berries. While it has long been confined to southeastern Asia, Drosophila suzukii is actually currently spreading all over the world. It reached North America and Europe at the end of the last decade, and it keeps progressing on those two continents where it is causing important damages on numerous fruit cultures. This invasive species is extremely harmful for fruits and there aren’t any efficient ways of fighting it yet. Benjamin Prud’homme’s lab is investigating the egg laying behavior of Drosophila suzukii as well as its egg laying organ (the ovipositor). The ovipositor is enlarged in Drosophila suzukii compared to other drosophila species, which allows to pierce the fruit skin to lay its eggs inside the fruit itself. It is striking to note that several insects that are harmful for harvests display the same kind of modifications, with an elongated ovipositor and a change of behavior in the egg laying site choice. Studying the evolution of the morphology and the behavior of Drosophila suzukii could thus uncover innovative avenues to biologically fight several harmful species with common characteristics.